All it took was one bit to get hooked. One savory, salty, greasy bite of copper pot rice. All it took was one taxi and two arranged cars over bumpy, winding roads for three hours from home to have this first bite. What is copper pot rice? It is perhaps one of the most incredible Chinese dishes I've ever tasted. 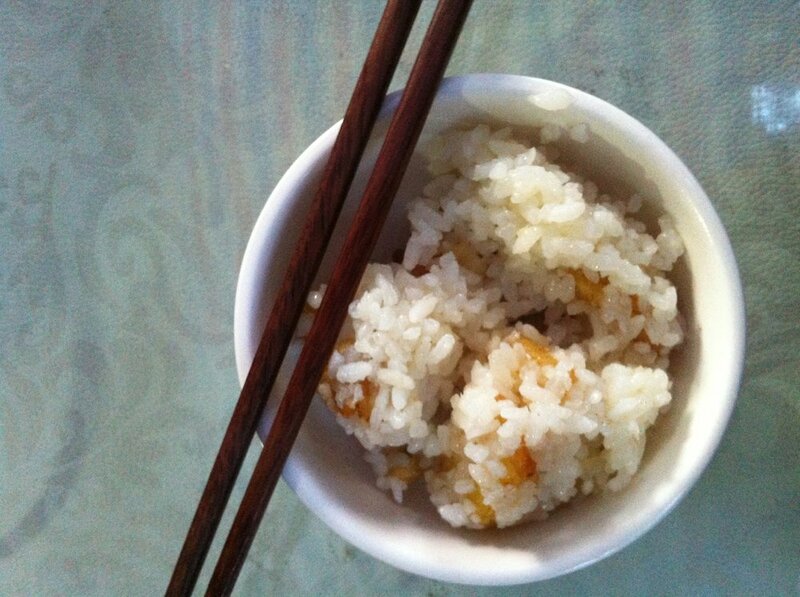 Rice cooked in a gleaming copper pot is prepared with pork fat back and chopped potatoes to create an all-in-one-meal. 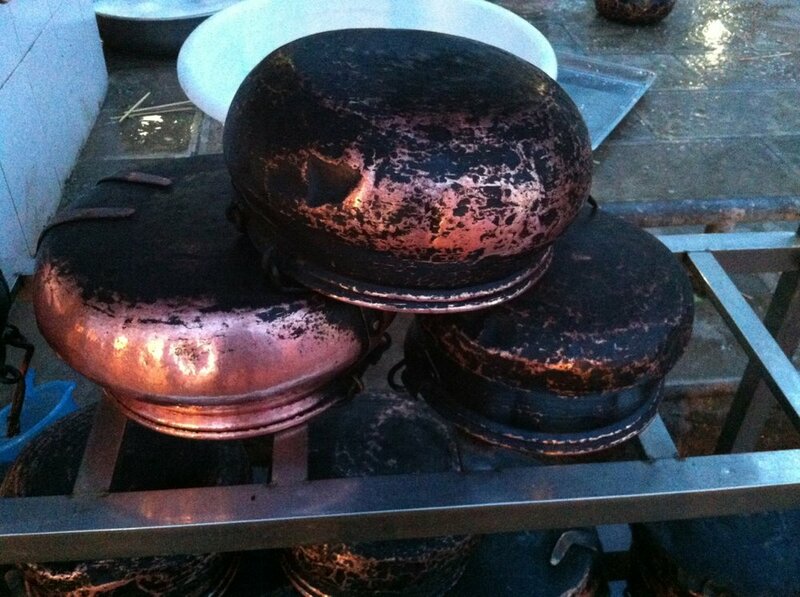 Just as most food is in China, copper pot rice is particular to one area of Yunnan Province -- Fuxian Lake. 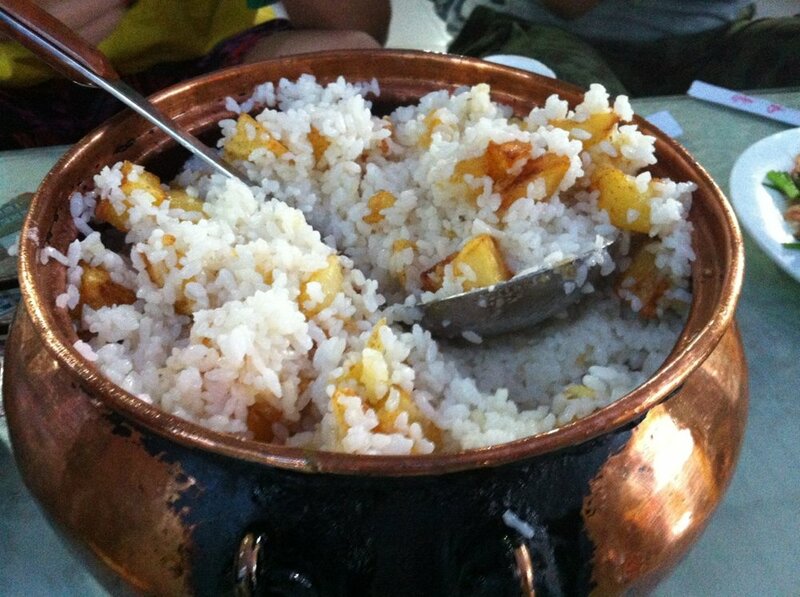 To taste the best copper pot rice in all the land, you must visit Fuxian Lake, Luchong to be exact, where this dish, along with freshwater seafood, is the specialty. I've written before about this town being my favorite place to visit as a quick escape from Kunming, where I used to live, but I really glossed over this fabulous dish, perhaps because I wanted to hog it all for myself. What is the perfect accompaniment to copper pot rice? Well, hilarious conversations and good friends, with the only pauses due to drinking a sip of Dali beer or to shovel more food in your mouth. As far as greens go, grab whatever sauteed veggies are on hand and feel free to liberally mix them in. Are you salivating yet? I am. But, perhaps a word of warning is in order. Too much copper in your diet, which can be caused from the copper leaching into the rice while it is cooking, can make you ill. So, copper pot rice is best enjoyed simply as a vacation food -- not to be consumed on a regular basis. If you need more reasons to visit -- what reason is more pressing than food, really -- then check out this post with ideas and photos of the lake. The best time to visit Fuxian Lake is in June to September when the lake is warm and perfect for swimming. Other delectable snacks at Fuxian Lake are snails, freshwater fish, and special sweetened corn cakes (these are good too). Do you travel for food?